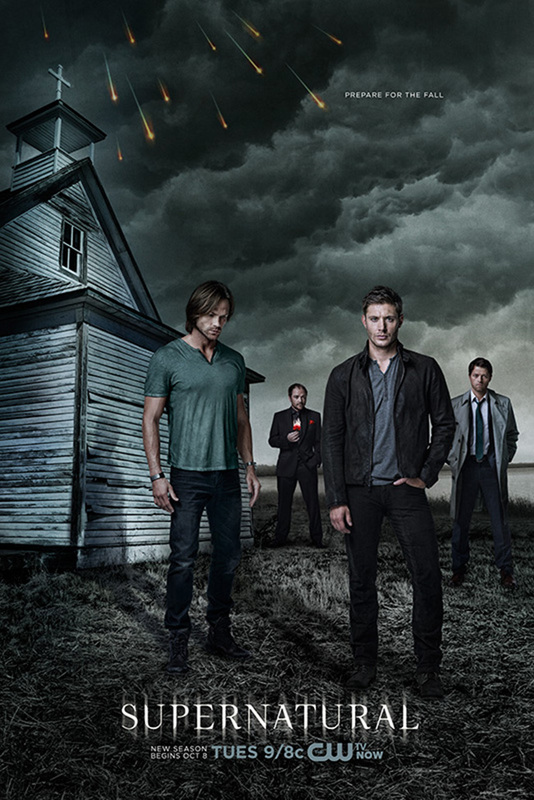 CW has released the new poster for ninth Supernatural which starts October 8 at 9 p.m., with the tagline – Prepare for the Fall. The show stars Jared Padalecki (Sam), Jensen Ackles (Dean), Misha Collins (Castiel) and Mark Sheppard (Crowley). Gildart Jackson and Tahmoh Penikett will join the cast in the new season. Dean is frantic after Sam collapses and the doctor tells Dean his brother won’t make it. Desperate, Dean sends out an all points bulletin via prayer to every angel in the area, asking them to help his brother. In exchange, Dean will owe that angel a favor. Numerous angry angels race to find and kill Dean, but one, Ezekiel, gets to him first. Meanwhile, Sam fights for his life and must face some familiar demons to do so. Castiel struggles to survive without powers.